a series of exclusive dedicated chess computers, developed and manufactured in the early 80s by the German Omikron Electronic GmbH. It was Germany's second chess computer in 1981/82 after the Mephisto by Hegener & Glaser, and was supported by the West German Federal Ministry of Education and Science , but only released in small quantities and prototypes. The computer's name was in remembrance to chess grandmaster Efim Dmitriyevich Bogolyubov. The 6502 processing unit with a program by Olaf Schinkel and the sensory chessboard were separate units, connected via cable. 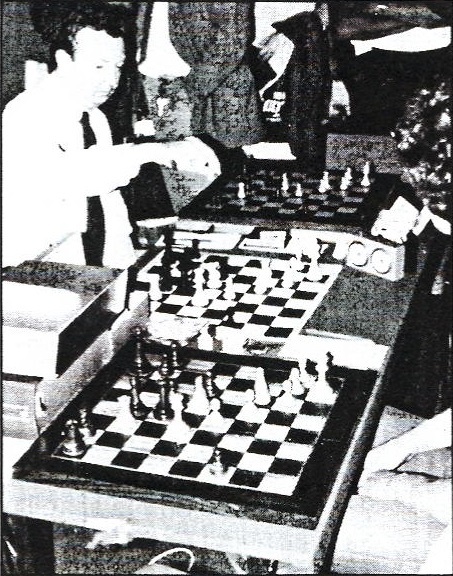 The Bogol 5.0 prototype, which had reversed square colors, played a strong European MCC 1982 represented by the Omikron team of Martin Suhl and Gerd Krey. Despite missing the first round and losing by default, Bogol managed 4 out of 7   . 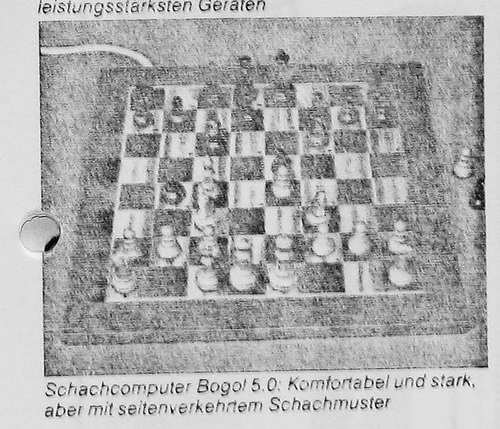 According to Hans-Peter Ketterling, Bogol 5.0 was never released to the market, apparently due to its close relation to another chess computer  . This page was last edited on 11 April 2019, at 18:18.